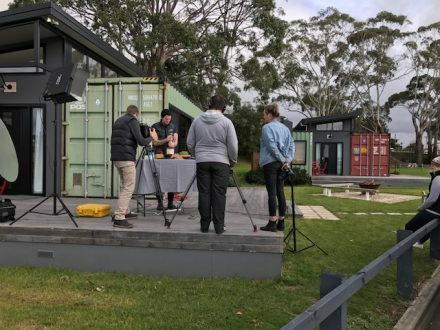 Great to have the food by Ben crew here to cook up a storm on the decks of the Coastal Pods. 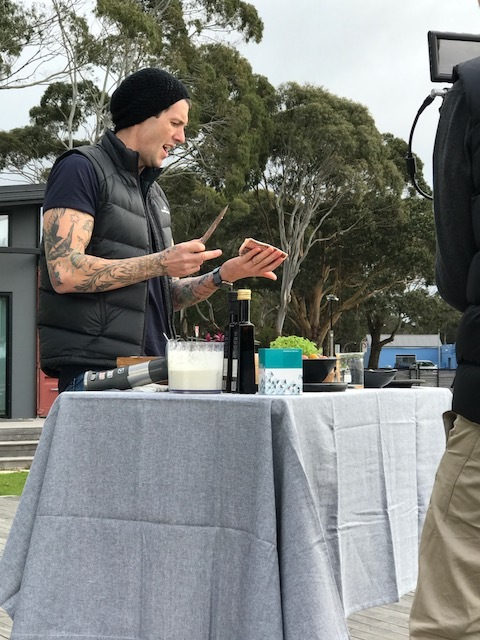 Ben Milbourne from Master Chef fame, used fresh stripey trumpeter straight off the wharf to good effect in creating a delicious sashimi. 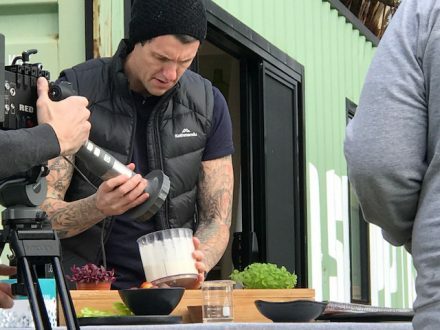 When I say delicious, I mean its seemed delicious, I didn’t actually get to try any, but the flavours he was putting together seemed pretty darn good! The team stayed the night and enjoyed their little taste of Pod Life. 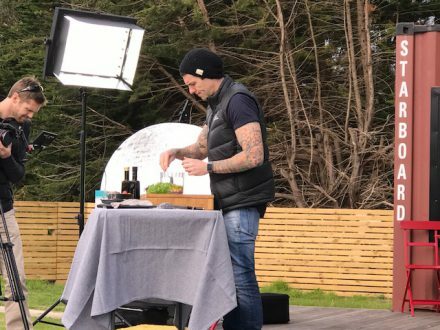 Ben is travelling around Tassie showcasing the local produce along the way in his new show on SBS which will air in November 2017.